or in other words, à la Saint Peter, "Lord, You know everything, You know my heartbeat, You know that i love You." do you remember the old commercial about "this is your brain" using a frying pan and eggs?! it was about the war on drugs. just say no. at the end of every year we tend to evaluate things, reflect, meditate on what was, what should be, how i could improve things. and so, 2013 is the year of Fr. Blake. 2013 is the year of jonathan. 2013 is the year of Jo-Nathan. 2013 is the year of Jo-Nation! we all want our lives perfect, like a Rubik's cube. instead of chaos (a messed up Rubik's cube), we want perfection (a solved Rubik's cube). but life is not like that. in fact, we are all called to holiness (a mixture of both i think, highs + lows, heartbeat). 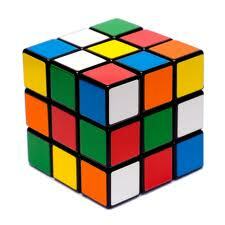 i have great memories of the Rubik's cube. i fixed it once. though i cheated (you know, change the stickers). funny how you can't cheat your heart though. you have to figure things out as you go. after 37 years, maybe i can work one side only, or maybe possibly one line, or four corners! during the Year of Faith, we are given time to fix things, to improve things, to heal things with the grace of God! to solve the problem! of course, we are not problems like the Rubik's cube, but we are mysteries. a beautiful mystery. all the colours remind me of what i need to work on this year - faith, hope and love! these theological virtues (see Catechism) help guide us on the spiritual journey. if you haven't mastered them yet, then work on one of them at a time. if all three seem impossible, one colour at a time is very possible! i also will work on the evangelical counsels (see Catechism) - poverty, obedience, chastity! again, if all three look impossible, then work on one colour at a time, one side at a time. this year buy a Rubik's cube, and dive deeper into the Mystery of Faith, the joy of God in Our Lord Jesus Christ. bonne + heureuse Sainte Année. happy Holy New Year! peace.